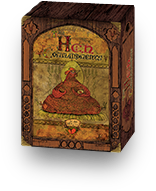 In The Hen Commandments, players are disciples of The Holy Chicken, interpreting the messages that issue forth via the medium of encoded eggs. Everyone works collaboratively to craft a new religion, while individually vying for position of best disciple. 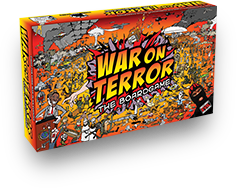 We make satirical and subversive games about difficult subjects, using traditional forms of play like card and board games. If you're interested, you can read more about the games we've made. If you want to know anything else, feel free to contact us.